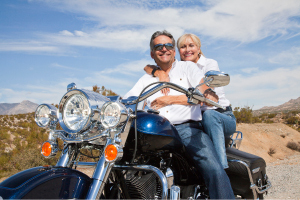 Is retirement right around the corner for you? Maybe your children have moved out and their independence now means you can be independent too. Either way, saving some additional money can mean extra luxuries during retirement, including how much you can spend on travel. So what might be a good way to save that extra money? Well, by starting a part time business! A part time business is a great way to become financially independent. Now you may think starting a part time business is more than you might be able to handle right now. You might hesitate because of startup and overhead costs or not being able to find time to do it. However, that simply isn’t a concern with Kaeser & Blair Promotional Products. Kaeser & Blair’s Business Owner Program allows people like you to start a part time business unlike any other. For a minimal startup cost of $85, you can own your very own promotional products business and run it the way you want. The $85 startup cost is a one time investment that gives you our Standard Business Owner Package. To make your part time business successful, the Standard Business Owner Package is filled with all of the essentials. Inside, you will find Immediate access to our online training assets and information, a Best Buys Catalog, numerous supplier and manufacturer catalogs with promotional products to sell, and a large assortment of product samples. All of these are tools to help you in reaching your goal of financial freedom. And the best part is that when you reach your first $1,500 in sales we’ll refund the $85 to you! Additionally, Kaeser & Blair doesn’t ask you to buy or maintain any inventory. This means you don’t have to put up with any overhead costs. In fact, you can run your part time business from the comfort of your home. The ability to work from home is another reason why this part time business is unlike any other. Your title as a business owner grants you the freedom to actually work from anywhere you choose – whether it is your home or local coffeeshop. You also get to decide on when you work so you don’t have to worry about finding time to sell promotional products. As your own boss, you can just work when it is best for you. Don’t worry about sacrificing anything on your busy schedule. Best of all, Kaeser & Blair’s business opportunity provides a tremendous earning potential to quickly help you save money. Business owners who only pursue selling promotional products as a part time business can make as much as $20,000 per year. Since you’re in control of your schedule, you determine how much you make with the amount of effort you put into your promotional products business. You can even pursue it as a full-time job if you wanted. Some people who do so make as much as $185,000 per year! So what do you think? Are you ready to see how far a part time business can take you? Order our Standard Business Owner Package to get started. If you decide selling promotional products isn’t for you, then you can return the starter kit within 30 days for a refund. You can also REQUEST A FREE TRIAL LAUNCH KIT so you can compare Kaeser & Blair to other part time businesses before making any commitments. Just click here to get started today!